So January is almost over and we’re one month into 2017 which is a good sign! We made it through the inauguration & the better half of the winter thus far! I keep convincing myself we’re so much closer to summer than we actually are…oh well. That being said, I wanted to share a new look with you guys that I styled for American Eagle! 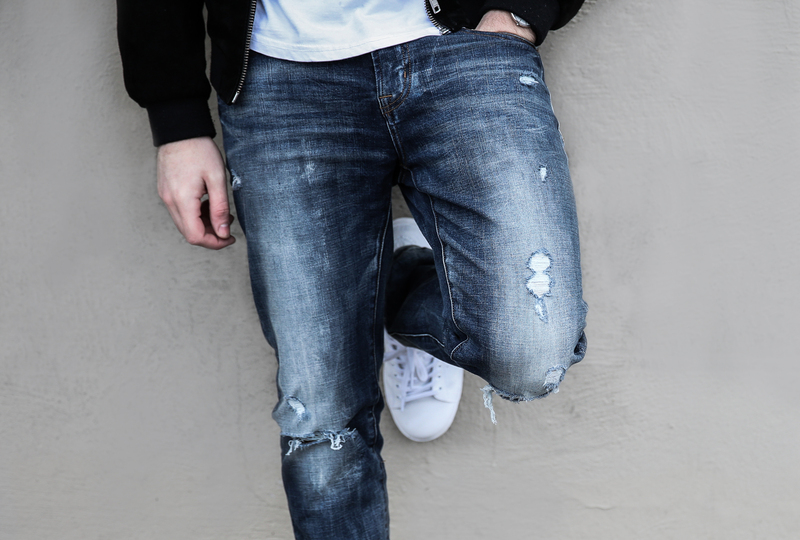 I was able to snag a pair of 360 Flex Denim from AEO & got to style out what I thought would look the best. 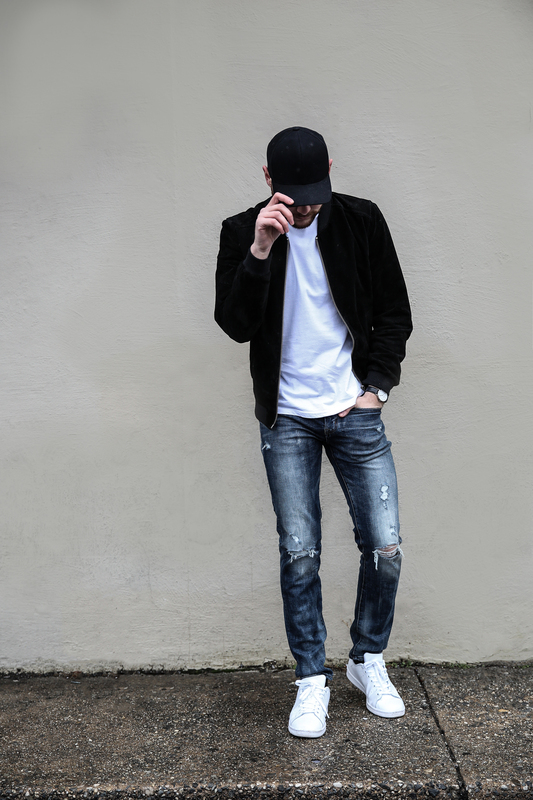 Here I have styled a classic white tee & denim look with a sporty/athletic vibe. 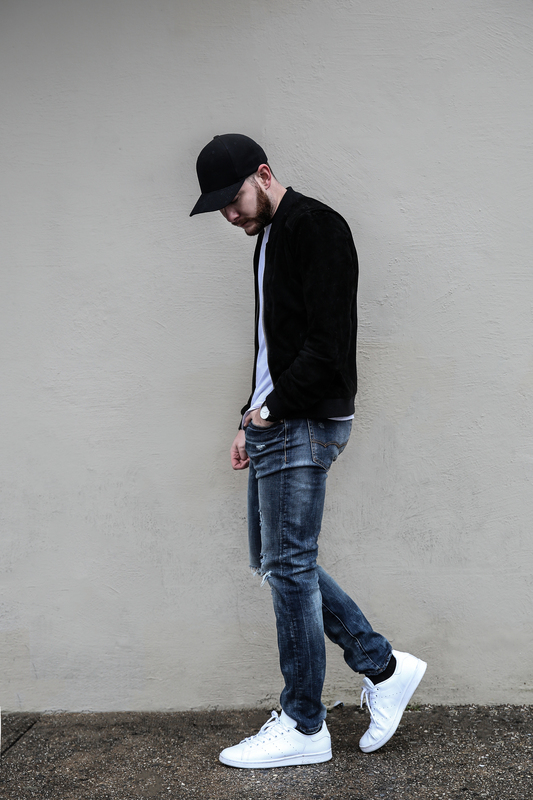 I love this black suede bomber & baseball hat together, they make the whole outfit feel very casual and easy. Take a look at the post on American Eagle’s Blog and see the rest on how I styled these awesome jeans!